When private school M2 Academy announced its sudden closure last month, it said it would arrange for its students and teachers to go to two other education institutions. But a month on, six of its 15 lecturers have been left out of the arrangement, as their modules had been discontinued by the two private schools, PSB Academy and Kaplan. And all M2 lecturers are still waiting to be paid for their services for September and October. M2 opened last year at orchardgateway@emerald mall to offer diplomas and degree courses from institutions like the University of South Australia (UniSA). It had about 250 students, including those taking online courses. M2 founder Mark Coggins, former president of Kaplan's Asia Pacific unit, told The Straits Times last month the school had to fold because its investors had pulled funding. M2 is now in liquidation. Students and lecturers were told the UniSA programme would be transferred to Kaplan, and the rest would go to PSB Academy. An engineering lecturer,who declined to be named, said he signed a contract with PSB but was later told the module he taught had been discontinued. The 53-year-old said he is owed $1,500 in salary by M2. 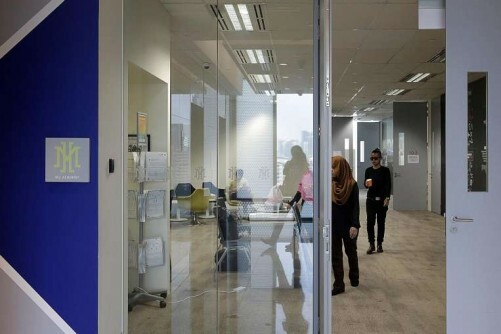 And writer Felix Cheong, 50, was told by PSB that the English and creative writing module he taught as part of M2's communications and media diploma had been dropped. He is owed $2,100, he said. A spokesman for PSB said it contracted seven former M2 lecturers to teach certain units, while Kaplan took in two. Two weeks ago, M2's managing director Stephen Kelly e-mailed the 15 lecturers informing them that the institute's parent company had "committed" to pay them for invoices from Sept 28 to Oct 16, and that he expected the money to be in their banks by the following week. When this did not happen, some lecturers wrote to Mr Kelly, but he told them to approach Mr Coggins for help instead. The lecturers have not heard from Mr Coggins. He did not respond to ST queries. Frustrated, Mr Cheong turned to the Council of Private Education (CPE) and the Ministry of Manpower for help. He was told by the council that it does not regulate private schools' handling of employee and employer issues. And because M2's lecturers worked on a contract basis, they are not covered by the Employment Act. Mr Cheong said the council should protect the welfare of lecturers for the private education sector to prosper. The CPE did not respond to ST queries. Mr Cheong said he found M2's handling of the closure "shoddy". The lecturers had helped M2 to get its classes going, even though they had no course materials to work with during the first few weeks. "Yet we persevered and got the school on its feet," he said. "Now when the ship is sinking, we have been thrown overboard."